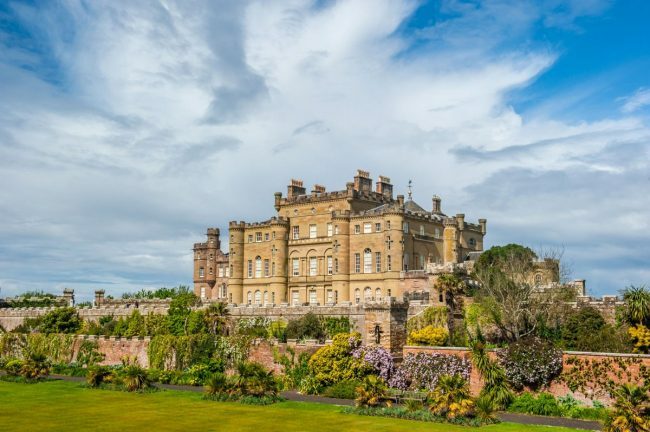 Culzean Castle is one of Scotland’s treasures – a Robert Adam-designed masterpiece perched on the cliffs of Ayrshire. Its story is one of adventure, ambition, and incredible beauty. 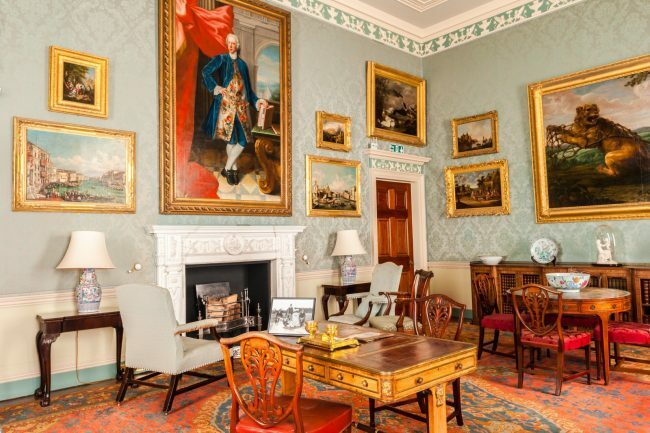 Over the years, Americans like you have helped the National Trust for Scotland preserve this beloved estate and improve the visitor experience. 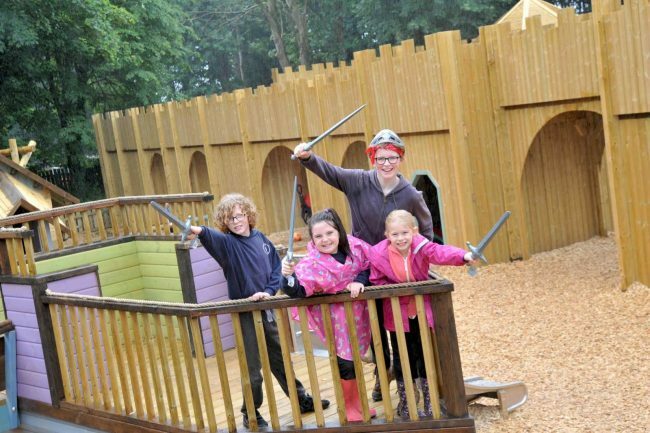 With your support, we have restored the Walled Garden and Camellia House and installed the Adventure Cove Playpark. 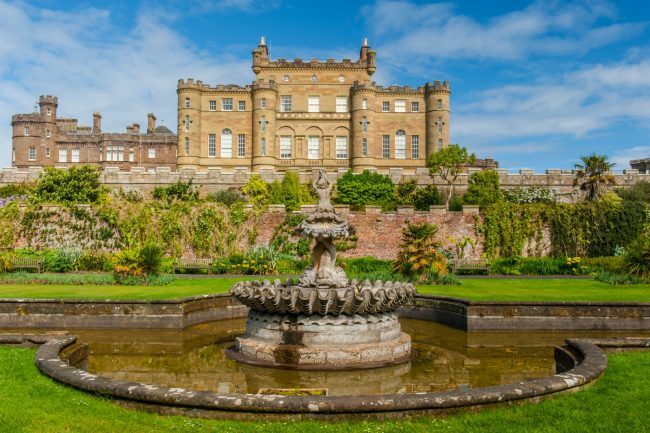 Our efforts are making a real difference – last year, visitation to Culzean increased by 77%! 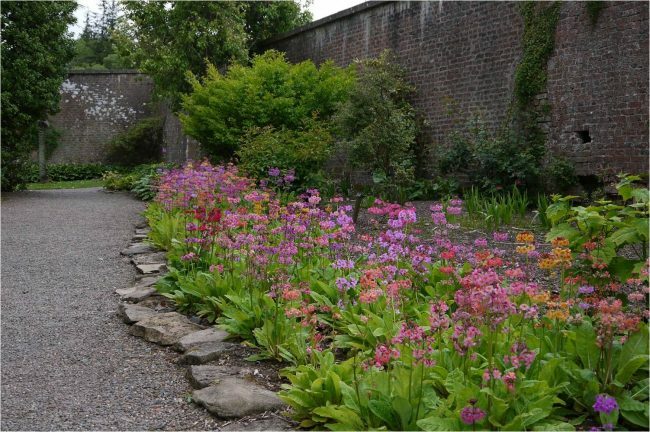 Now, we’re turning to Culzean’s Fountain Court, one of Scotland’s most beautiful gardens. The idyllic formal landscape is located along the front of the Castle. At its center is a Baroque fountain that features Triton surrounded by dolphins and holding aloft a conch shell. The garden itself was recently restored, but the fountain, which dates to 1876, no longer works. We have been challenged by Kennedy Park Richardson to raise $25,000 to support the restoration of the fountain. 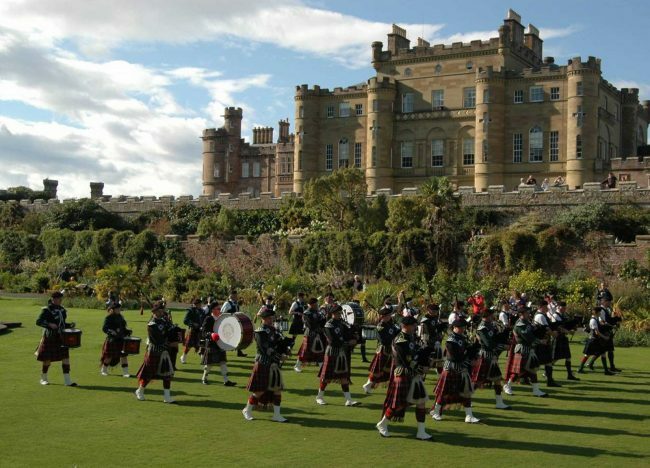 His ancestors were members of Clan Kennedy upon whose clan lands the Culzean estate is built. If we’re successful, he will match that amount dollar-for-dollar, allowing the National Trust for Scotland to move forward with its plan to bring this magnificent fountain back to life so that it can once again delight visitors! Will you help us to restore the historic fountain at Culzean Castle? Your gift today will make double the impact! 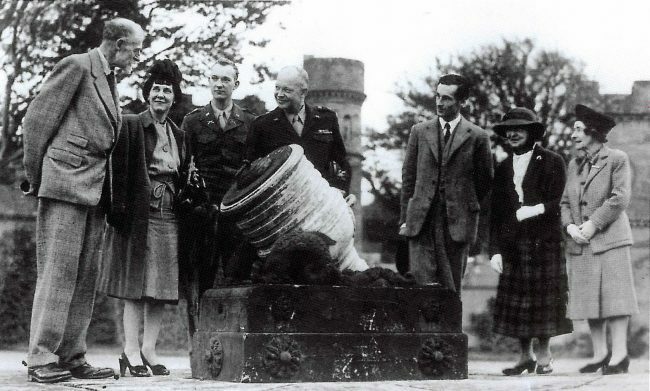 General Eisenhower visiting Culzean in 1946 with the 5th Marquess, who is on the left. 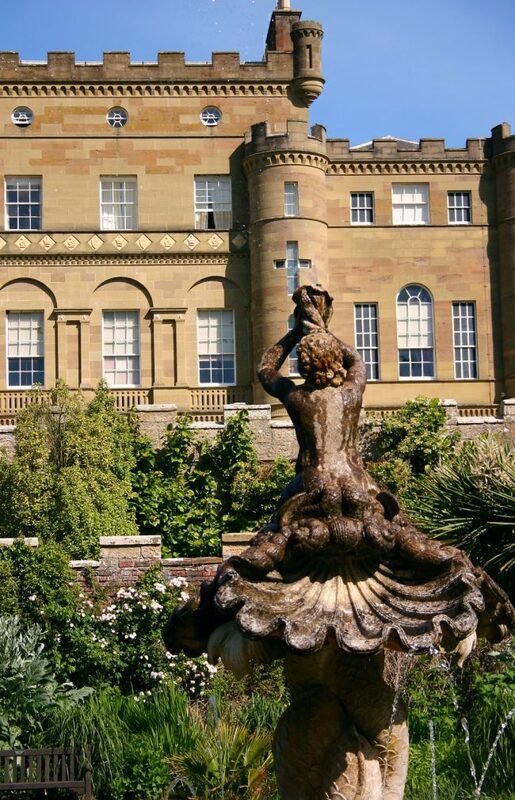 Culzean Castle with view of the Fountain Court. David Ross Photography. The Baroque Tritan fountain feature. Piping Band in the Culzean Fountain Court. 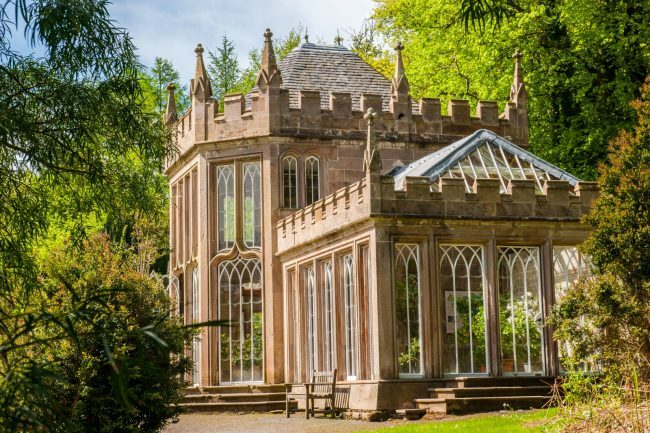 The Camellia House, funded in part by NTSUSA. David Ross Photography. Children playing at the Adventure Cove Playpark, funded in part by NTSUSA. 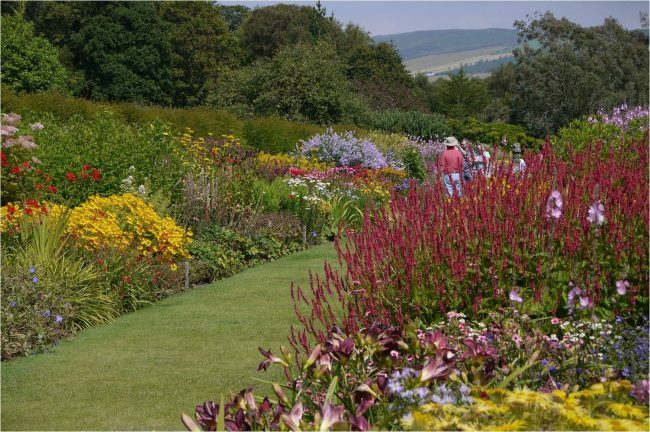 The Walled Kitchen Garden, funded in part by NTSUSA. 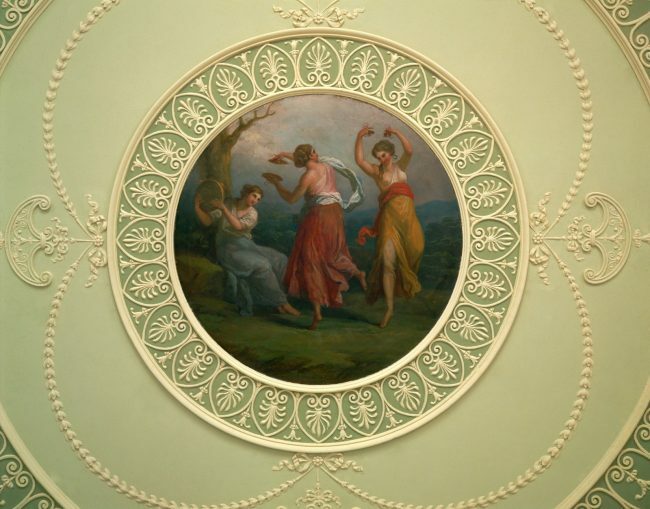 Ceiling detail, Culzean Castle, a Robert Adam-designed masterpiece. 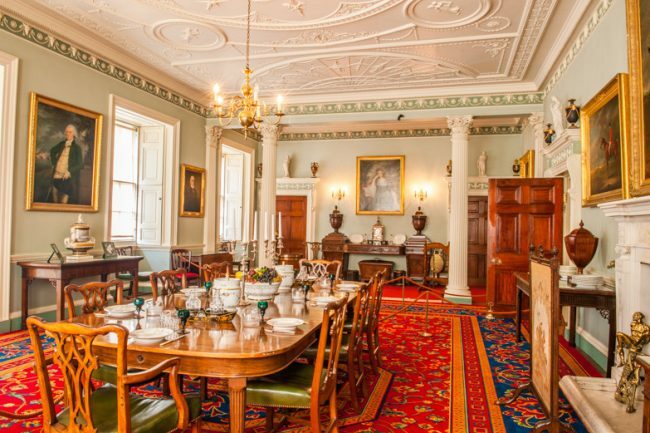 Interior, Culzean Castle, a Robert Adam-designed masterpiece.